- Sleeping: She is only getting up one time to nurse in the middle of the night, and I feel like a new Mama. Her typical night is a 7pm feeding, a bath and changing into her jammies, reading the Jesus Storybook Bible, then bedtime. I usually have to get her up at 10/10:30 to nurse again. She will then sleep until 3:30/4am, then again until 7am when we start our day. 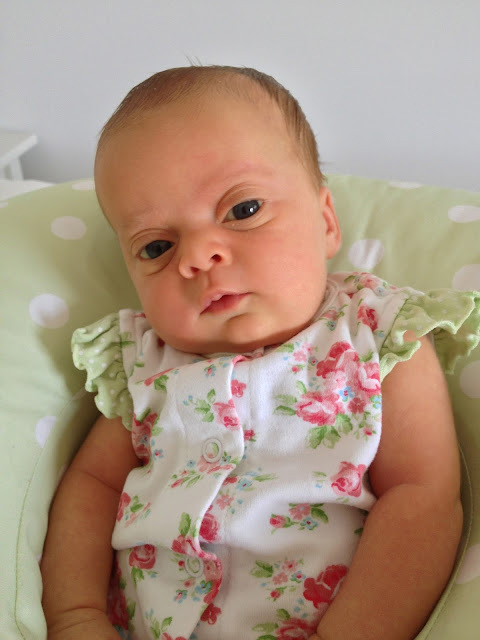 - One day this week was an unusually fussy day for Hattie-Grace. She did not want to nap in her crib like usual, and was gassy and in pain. The only place she would nap was outside, so I got to tan while she rested. 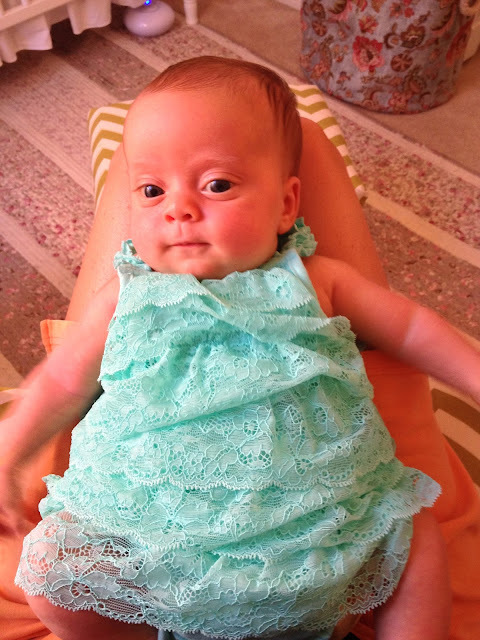 - Hattie-Grace is smiling more and more these days. Every time just melts our hearts. She is gaining more control over her head and still kicking and moving lots during tummy time. - She is smiling a lot more, which is just precious. Sometimes when I go in and get her up after a nap, she flashes this huge grin at me. I need to take a picture of that sweet face. - We have started reading more books this week. She focuses on the pictures, and just stares and listens to me read. 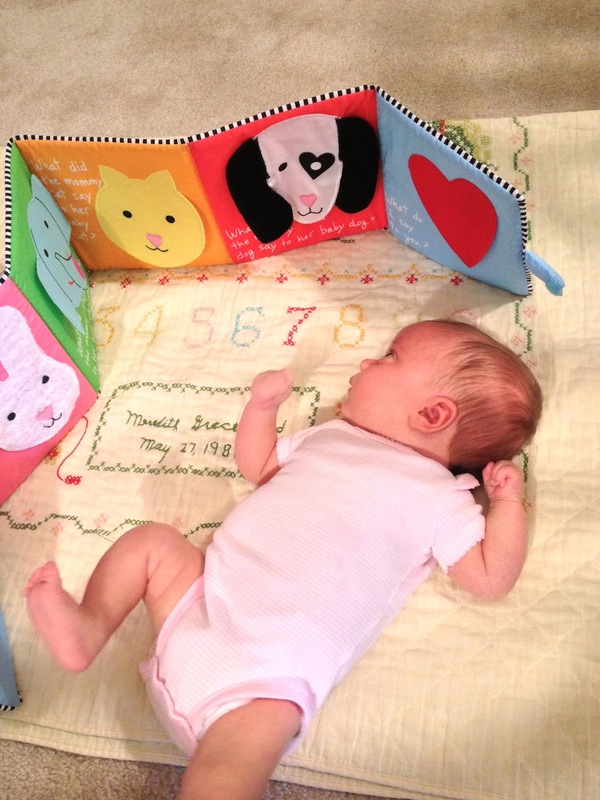 Her favorite book is called Baby Love by Sandra Magsamen, and was given to her by her Aunt Pricilla. She loves to stare at a red page with a black and white dog. I have ordered 3 other cloth books by Sandra Magsamen, and would recommend her books to any new Mama. 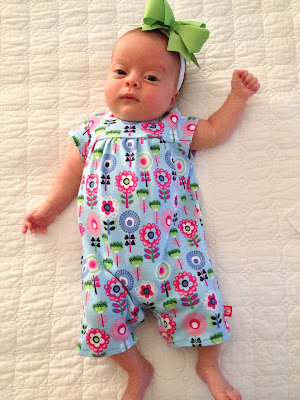 They are wonderful quality and the high contrast in colors catches baby's attention. HG has spent many hours fascinated with this one book. 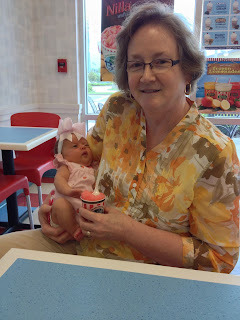 - She went to Rita's for the first time with her BB and Paw Paw, when we traveled to a suburb of Tampa for dinner with friends. - She is enjoying tummy time more, and getting more control over her head. 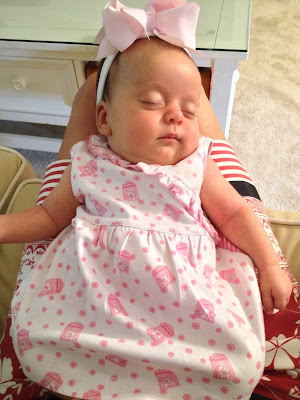 - When swaddled, she busts her arms out and sleeps with them stretched out above her head. - She loves kicking her legs. 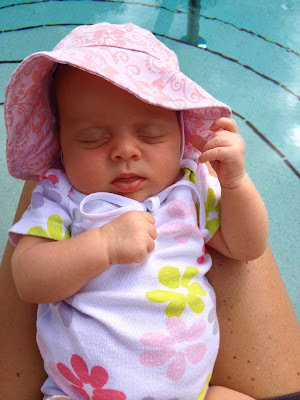 - She coos and and makes noises all the time, whether she is alone in the crib or around people. Daddy was gone most of the week, but we are so happy he is home! Yes, Marty did put a waffle fry on my sweet little girl. Come on Daddy! I love the natural look of the photos. I am not a big fan of the super posed photo. 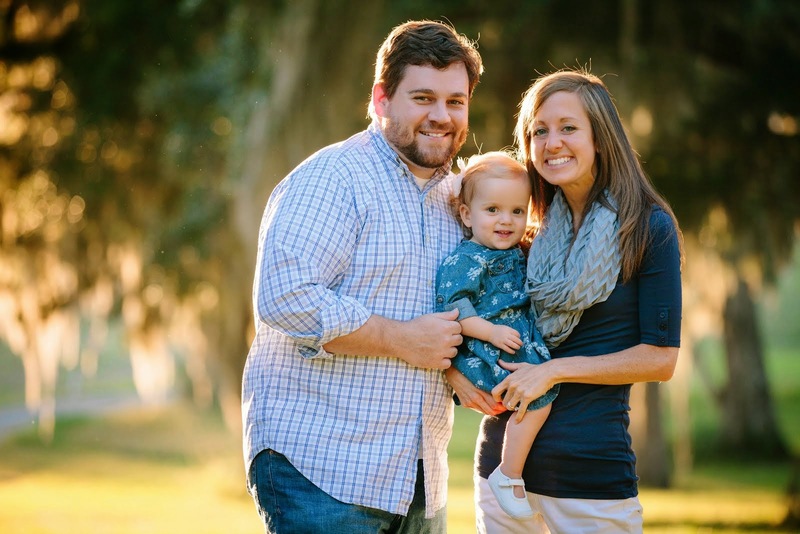 I love that Carolyn captured our real life, in our real nursery, in our real clothing. She was so patient, and took the time to get the perfect shots. She has such a wonderful eye for photography. I would recommend her work to anyone. She has truly blessed our family with these pictures. HG is five weeks old today. She has been spoiled all week by her BB and Paw Paw. 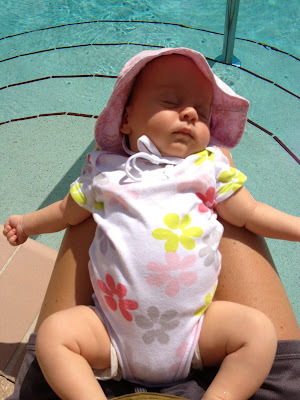 Today we went to the pool and stuck our toes in. I can't wait until I can take her in all the way in the pool in a week! This is what typically happens in the sun. She loves it, yet gets very,very sleepy. Then, within minutes, is out. HG has started to smile more this week, although there is still no rhyme or reason to it. 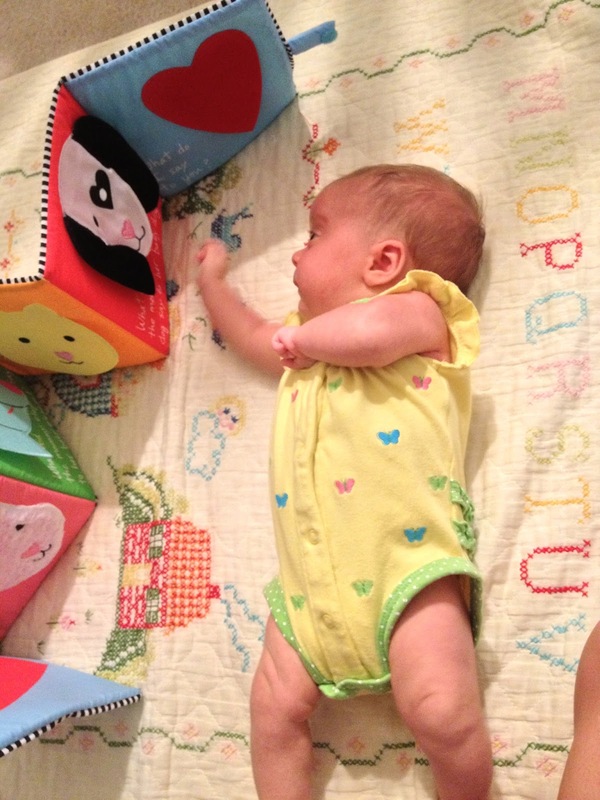 She is also getting better at lifting her head during tummy time and stays awake a little longer. This girl loves being on her tummy and kicking her legs. 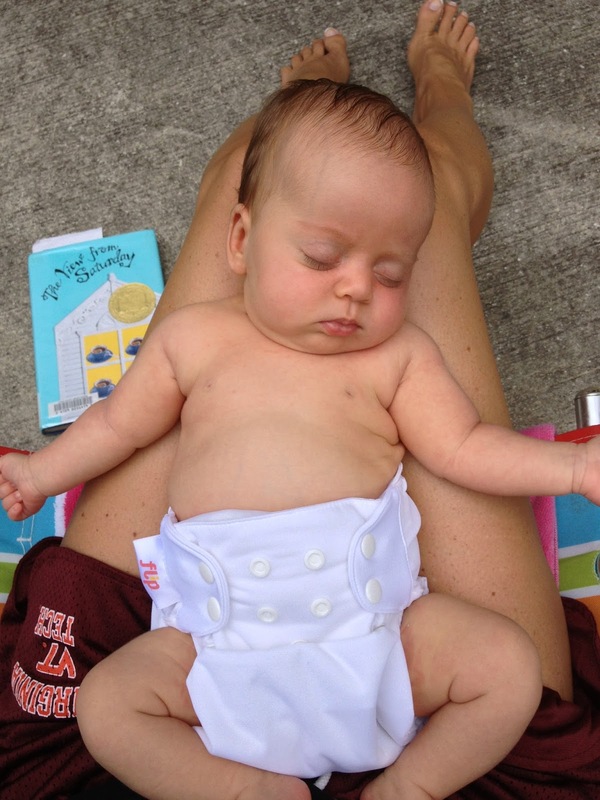 We tried the cloth diapers for two days, and Mama learned how to wash them. I think they are still a little too big to start wearing full time. We also gave HG her first real bath, submerged all in water. 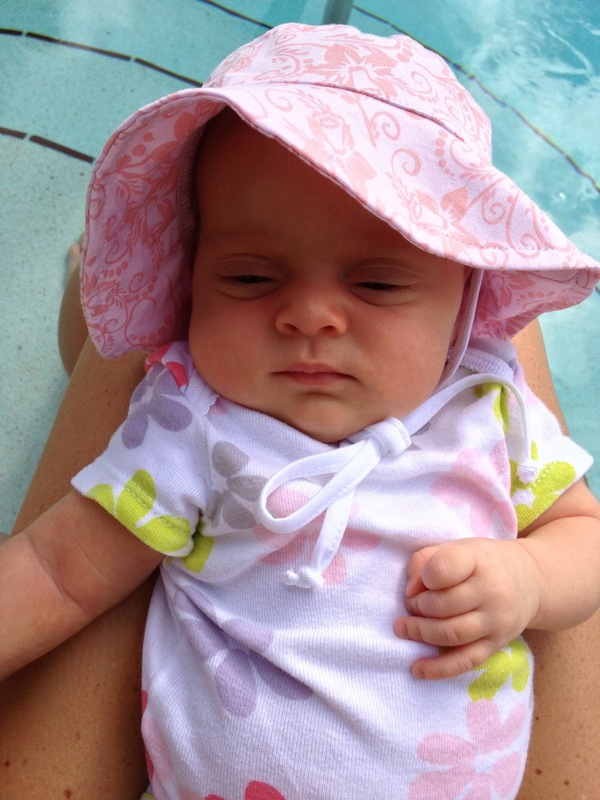 She loved being in the warm water. Daddy has been gone all week, and we have all missed him. He comes back on Saturday and we can't wait to see him! 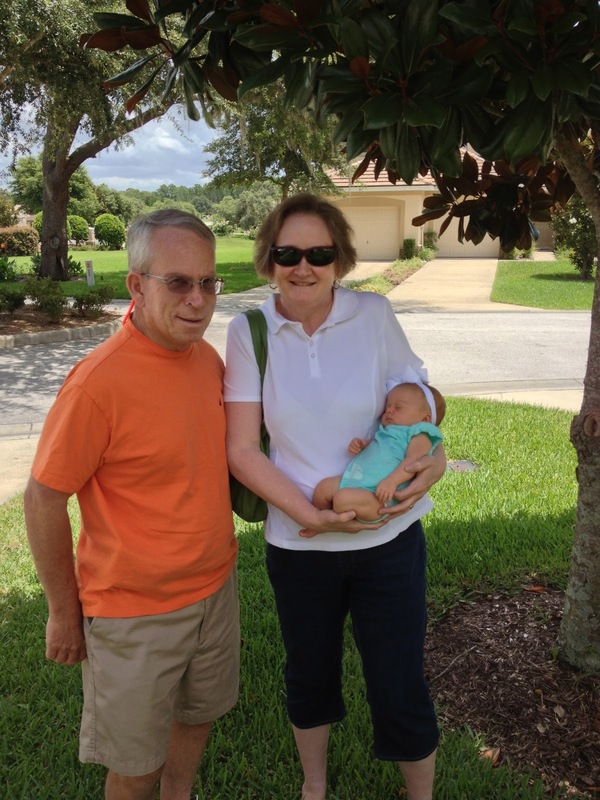 We are thankful to have BB and Paw Paw here while Daddy is gone, it is so nice to have the extra hands! I feel so blessed to be able to be at home with Hattie-Grace, without having to prepare to go back to work soon. I love spending my days with her, watching her grow and change and take in the world around her. As a new Mama, I have become more aware of sin in my own heart, that busyness previously over shadowed. I recently learned about my own heart through a simple paci. For some reason, I instinctively did not want my baby to have a pacifier. I'm not sure where the dislike for the paci came from, yet without reason, I initially felt against the idea of a pacifier. I thought about all the children I had heard about still loving their paci at 3 and 4 years old, with messed up teeth and speech. Thankfully, the first 4 weeks HG was a dream child and fell right asleep after each feeding at night, and did not cry during the day except when she was hungry. The past few days, she has become more aware of her surroundings and knows when people are around. She has started crying when it is bed time, and was needing help soothing herself. I would let her cry and cry and cry, not knowing how long a newborn should fuss. My own stubbornness and pride did not want to pick her up and soothe her. I am the parent and you will sleep when I say it is time to sleep, I thought to myself. 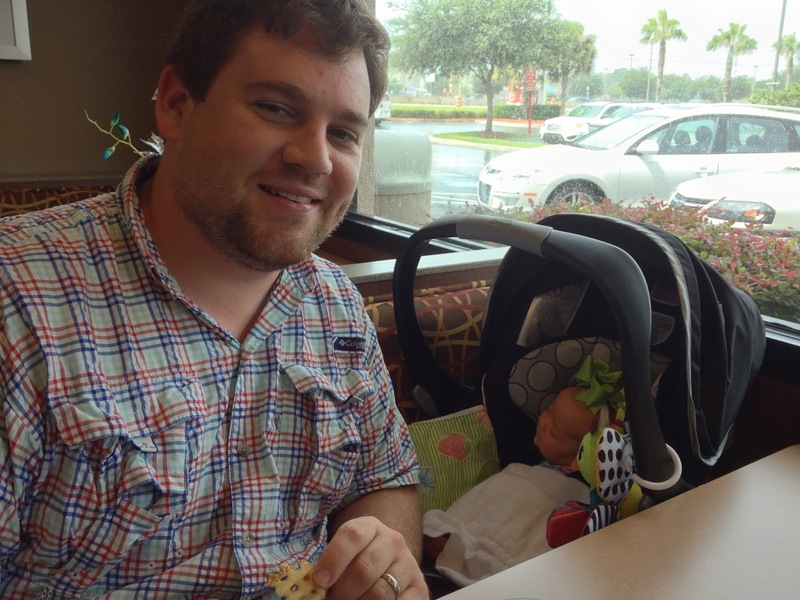 While visiting with a friend, HG got fussy, and she asked if we had a pacifier. 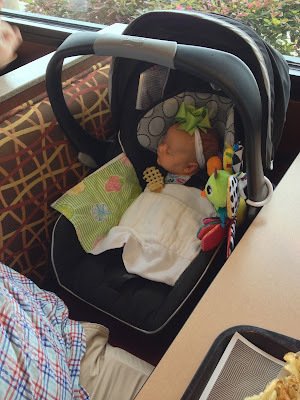 I hadn't thought about the pacifier helping her, but initally felt against the idea. dresser, where it sat since we returned from the hospital. I thought I should try it, and after an hour of not sleeping I decided to give it a try. HG latched onto it right away, enjoyed it for about a minute, and fell right asleep. Major fail moment, Mama. Why did I not help her soothe herself sooner? I thought deeper about what was making me against the paci. 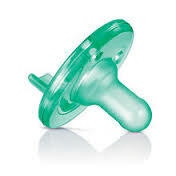 The paci is not bad, evil or damaging my child. Why was my heart so against it? It was me. I felt this need to be able to soothe my own child. I felt like she needed to learn how to sleep right away on her own. I wanted to control my child. I wanted to control the when, where, how she slept and in turn I slept. I needed control. My heart so often wants to control the things in my life. I struggle to let God control the details in my life, even though He has never left me or failed me. Even though His grace is sufficient for me. A little paci has revealed my true heart. I am thankful for these slow days at home that the Lord is teaching and growing me through. The past month has flown by! My 5 lb., itty bitty newborn has grown into a chubby cheeked little baby. 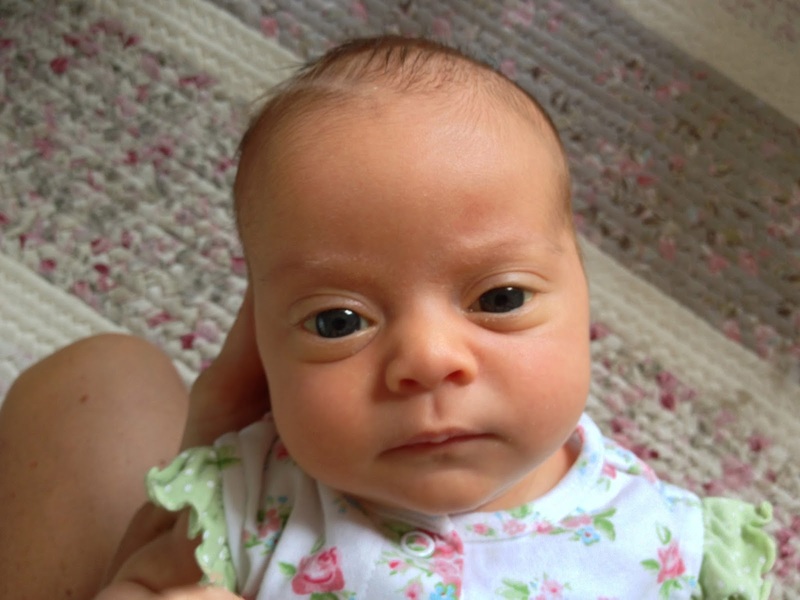 Hatley-Grace has been busy learning how to eat, sleep and poop the past month and has become fairly proficient in all three areas. She is eating every 2 1/2-3 hours, more like 3-4 at night. She is still doing a lot of sleeping during the day and night in between feedings. 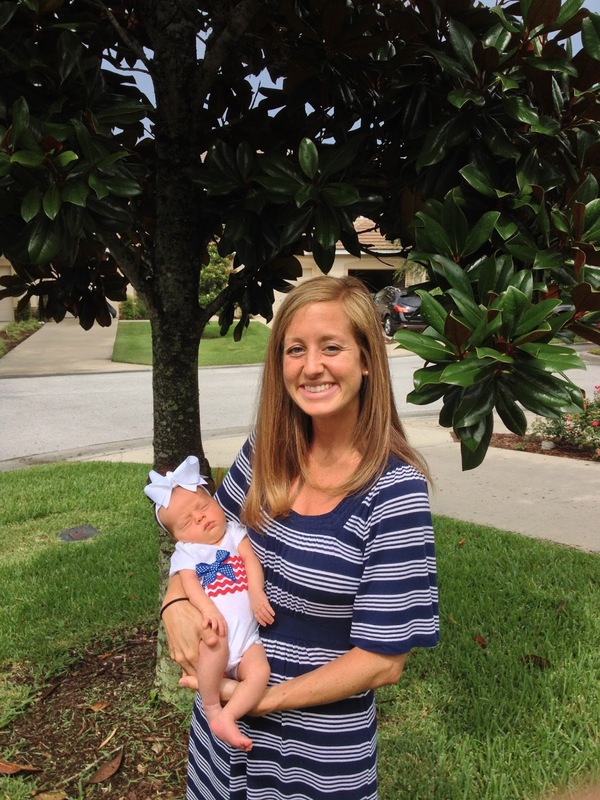 She is able to fall asleep quickly after a middle of the night feeding, which is great for this new Mama. I love her little coos in the middle of her sleep. She smiles every once and a while and it melts my heart. I can't wait until she is able to giggle and smile as a response to us. Her big blue eyes can focus on us now, and she knows and is comforted by our voices. She makes so many different facial expressions, I love her big yawns the most. 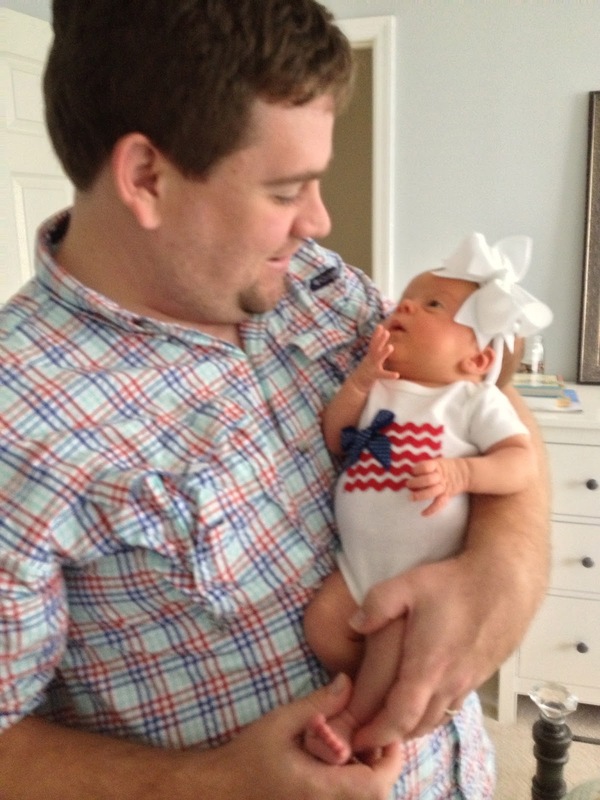 I think we are adjusting well to having a newborn in our hearts and home. 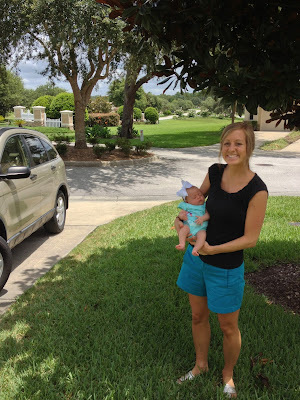 Lack of sleep and exhaustion are starting to kick in, as the first two weeks I felt more like the energizer bunny than a new Mama. We start the day with a 6:30am feeding, and follow a 3 hour eat, play, sleep pattern. Between the 6:30pm and 9:30pm feeding, we eat dinner, play together, have a bath and get ready for bed. After the 9:30pm I call it a night once she is in her crib. That has been very helpful to my energy level, even if it is a little old lay-ish to go to bed that early :) We have settled into more of a "routine", and I feel more comfortable anticipating her needs. Of course there are good and hard days, but praise the Lord that most are good right now. 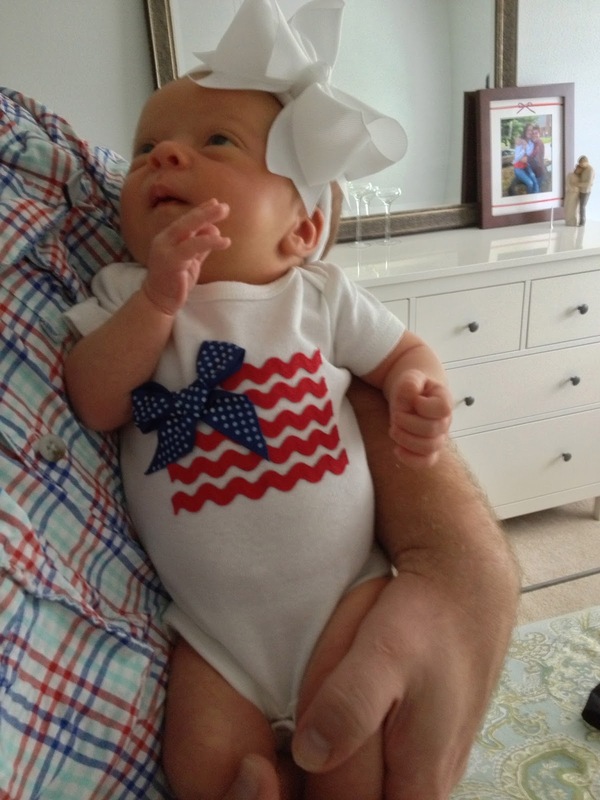 Your Mama and Daddy love you so very much! You have been with us for one month now, and we have learned so much together. 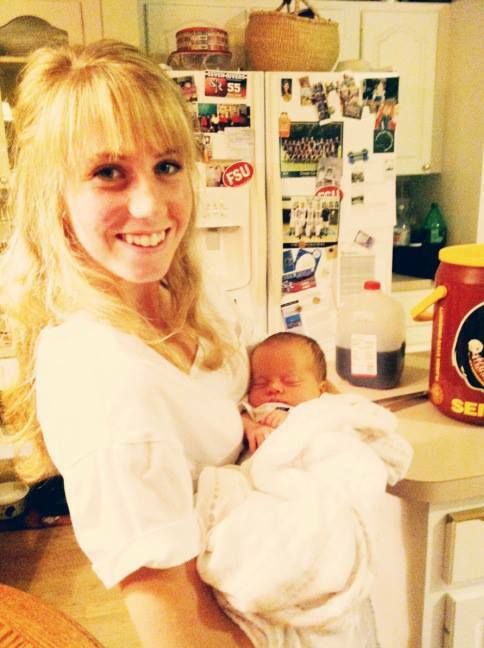 When you arrived on June 12, I had no idea how to be a Mama. 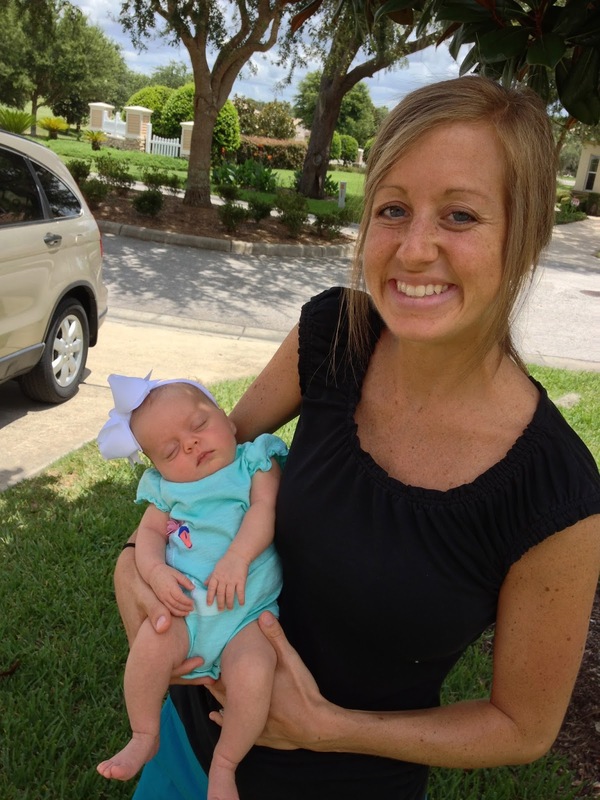 I had no idea how to feed, burp, sooth or swaddle you. 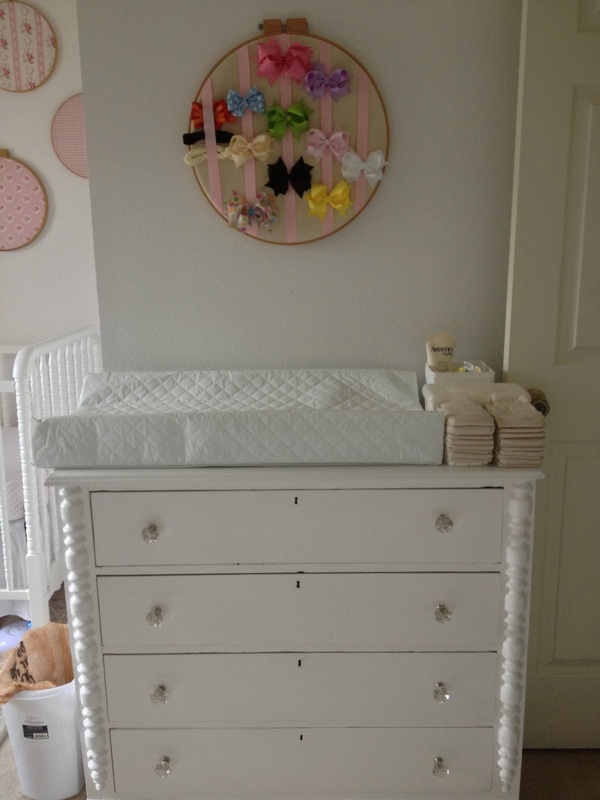 Your nursery was not ready, and we had no newborn diapers or premie clothes. Meals were not made ahead of time and frozen, bathrooms were not cleaned and floors were not swept. My hospital bag was not packed according to the detailed list, and errands were not run. BUT, you know what? None of that mattered. You arrived exactly how and when God planned for you. We have learned all those things together. Errands have been run, and meals have been prepared, and the house has been cleaned, all with you here. 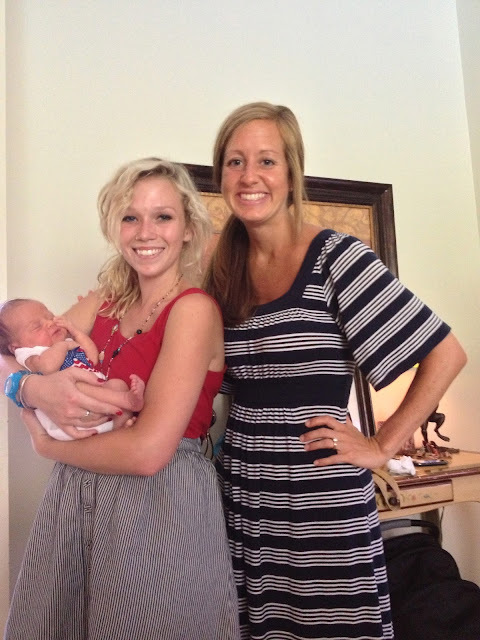 You have made me a Mama, and for that I am so very blessed. When your big blue eyes look up at me it is pure joy. I pray that you live constantly under the Lord's beautiful grace, and that your Daddy and I are able to show you God's love and grace daily. You are such a beautiful blessing to me! HG will be one month old tomorrow! Registering, for me, was extremely stressful because I did not know what I would need once she arrived. To help others struggling with registering out there, I am going to try to document things that I found helpful to have for HG each month. I also hope it will help me prepare for the next baby as well, when that time comes. 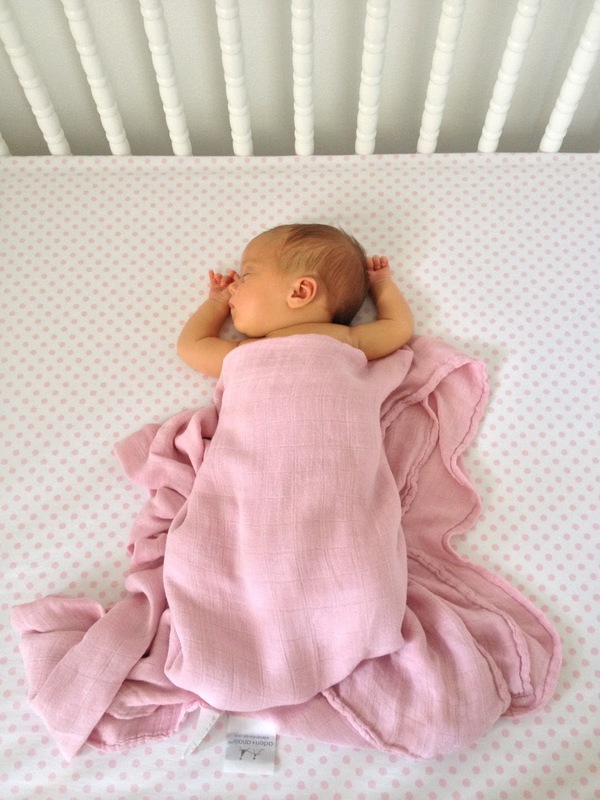 #1- Aden and Anais swaddle blankets: I love the quality of these blankets. They are super lightweight which is perfect for a summer baby in Florida. They have a good stretch to them, which help me swaddle a squirmy baby. 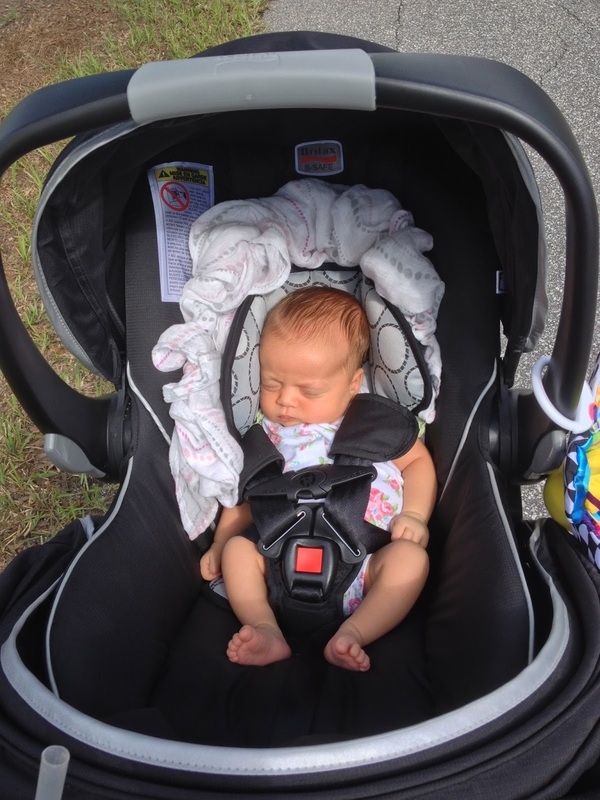 #2- Britax B Agile stroller and B Safe car seat: HG and I have been out walking every morning with this. I can steer the stroller with one hand, and can even jog a little with it. The car seat was very easy to install and clip in and out of the stroller. It is a little heavy, but I think all car seats are. #3- Fisher Price Rock n Play: This rocker folds up and is easily moved anywhere. I can have HG in the kitchen with me when I am cooking or unloading the dishwasher. I can have her in the bathroom with me when I am getting ready. I can fold it up and store it in a closet when we are not using it. I think this is more practical than a swing. #4- Summer infant video monitor: I love being able to check on HG without disturbing her sleep. It is so reassuring to see your brand new baby snoozing away in her crib! I don't think we could have moved her into the nursery as early as we did without this. #5- Tazo chai tea: This is my source of caffeine in the morning. One mug of this, a little milk and Truvia and I have the little kick I need to start the day. #6- iphone: I have used my phone so much with HG. It is so nice to be able to take pictures and send them immediately to family and friends, or post them to social media. I also use a free app called iBaby Log. It helps me track diaper changes and when and how long I am nursing. It is reassuring to be able to have all this information when my memory fails me. 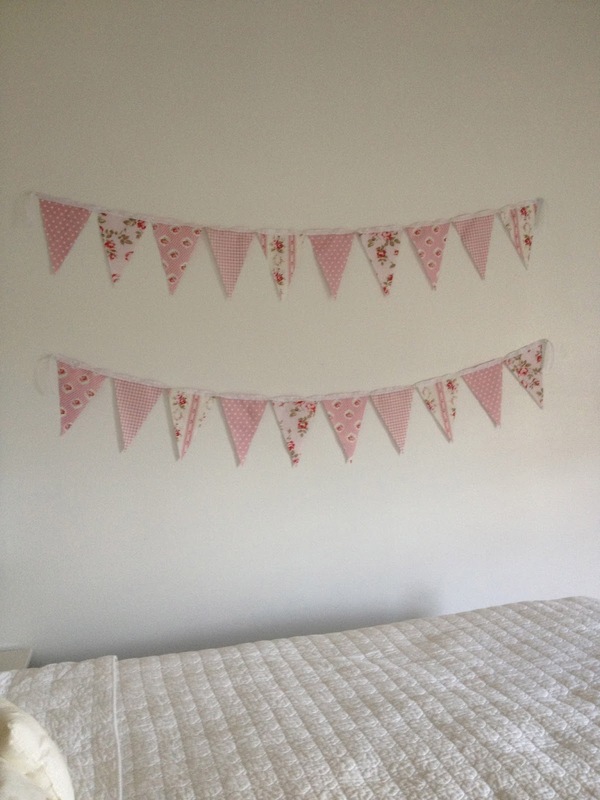 I originally wanted a very gender neutral nursery, because I am practical and want to be able to reuse everything for all our children. Yet, after finding out we were having a girl I just could not stay away from pink. This room is anything but gender neutral, yet all the big ticket items are. The things that I made specifically for Hattie-Grace will travel with her into her big girl bedroom when that time comes. The crib was the only thing completely done when HG came early. I had lots of projects on the "To Do" list, and they had to get done while HG was at home with us. I had an intense nesting bug for the first two weeks HG was home with us. Nesting to the point that I didn't ever nap, I just worked on her room/nagged Marty to work on his projects until they were done. 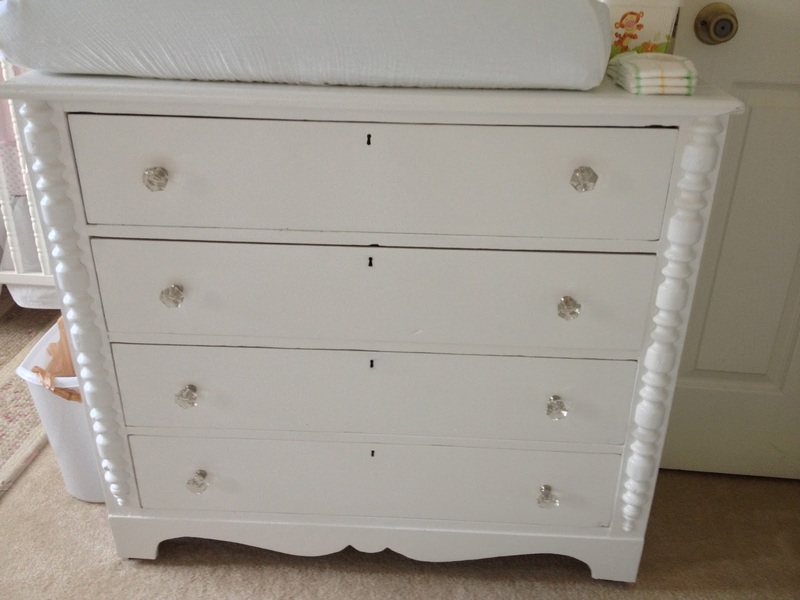 Back in March, I found a dresser for $25 at an antique shop. Marty and my Dad sanded it, and Marty painted it. I love how it turned out! The room was very white, white furniture, white linens, white walls. I would normally think to paint the walls, yet since we are renting that was not practical. 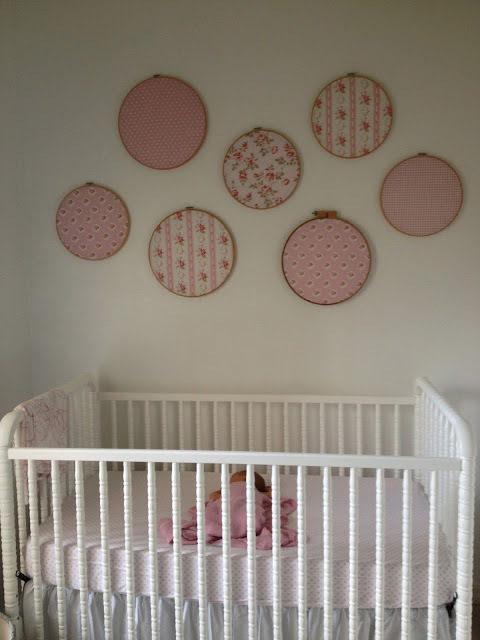 I stumbled upon a bunch of embroidery hoops at an estate sale a few months ago, and I decided to decorate the nursery with them. 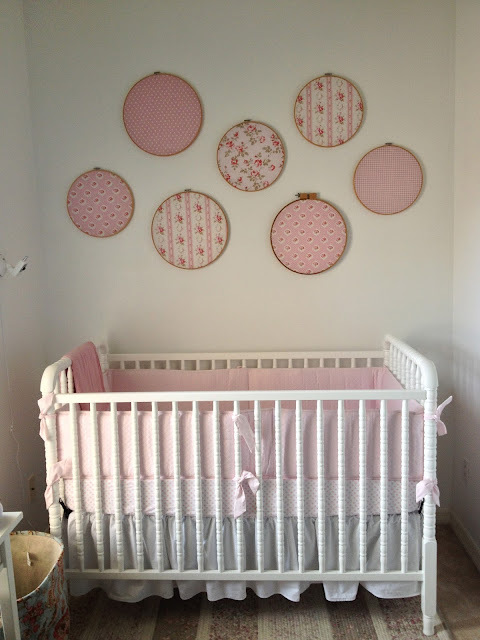 On Pinterest, I had seen people putting fun fabric in the hoops and hanging them as wall art. A day before HG was born, the fabric for the hoops arrived. The fabric is a quilt bundle that I purchased from Etsy. The hardest part of this project was deciding about how to hang them. I found this old ladder at an antique store, and thought it was perfect for hanging all the blankets I had received for HG. 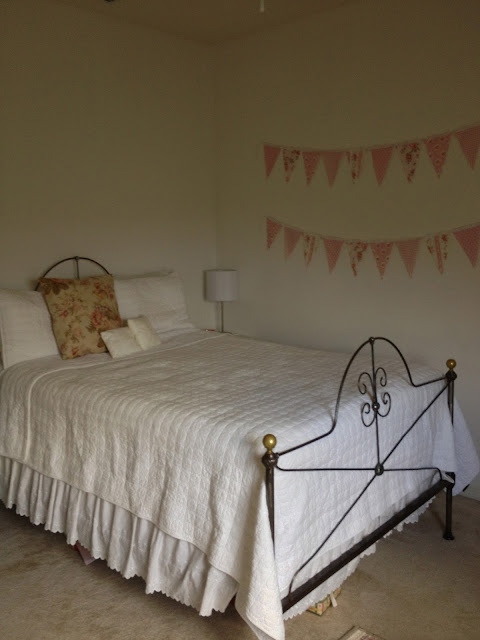 We live in a 2 bedroom townhouse, so the nursery has to double as a guest room. We have a full sized bed in the room, and I think all the furniture fits nicely. Next to the bed was a big empty wall. I decided to make a flag banner with the left over fabric from the embroidery hoop project. I just cut triangles and sewed them on white ribbon. When my parents came to see Hatley-Grace, they brought the rocking chair that I had in my nursery growing up. 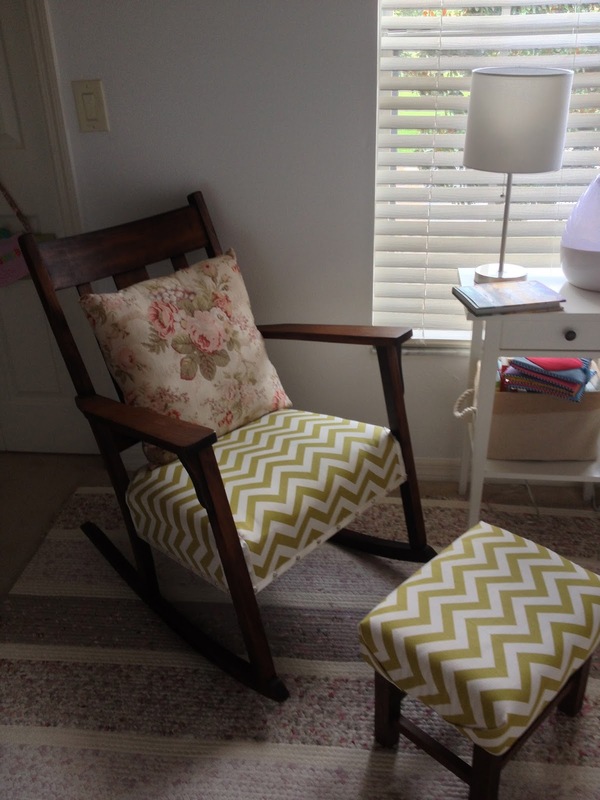 The chair goes back 3 generations in my family, and I am excited to have it in my nursery. We recovered it in a moss green and cream chevron duct cloth. 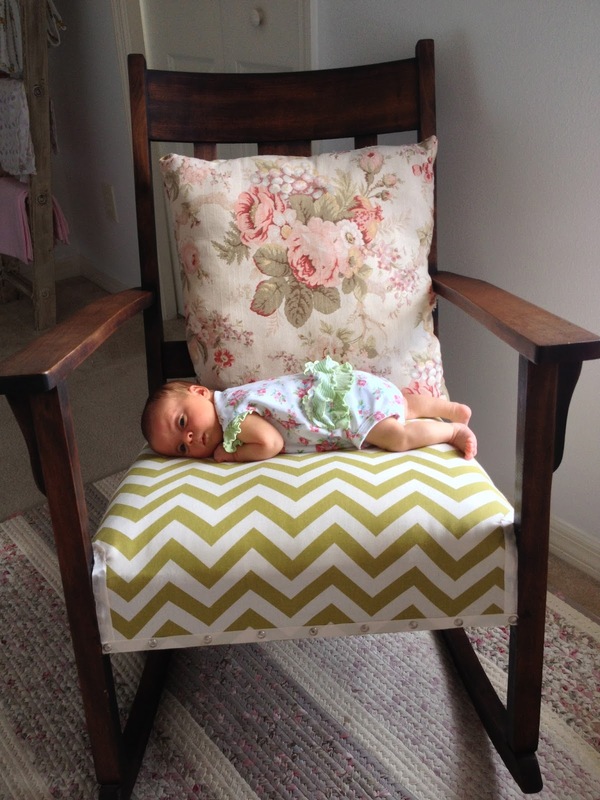 I have spent many hours in the middle of the night feeding HG in this chair and it is special to think of all the women in my family that have done the very same thing. I still have one more project I would like to do. 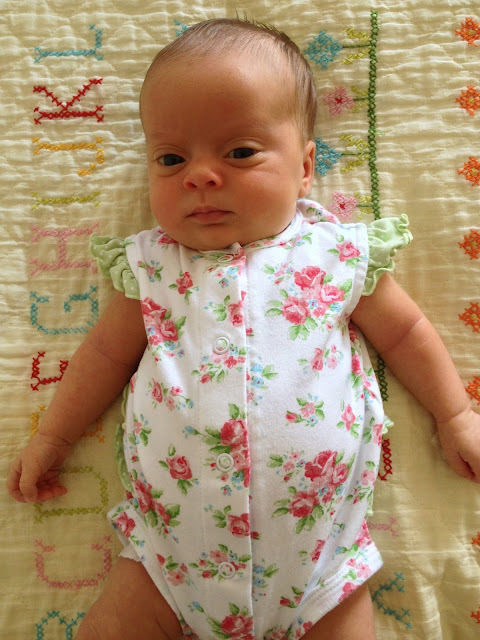 Hatley-Grace was named after my maternal Grandmother, her Great Grandmother (another post to come about her name). 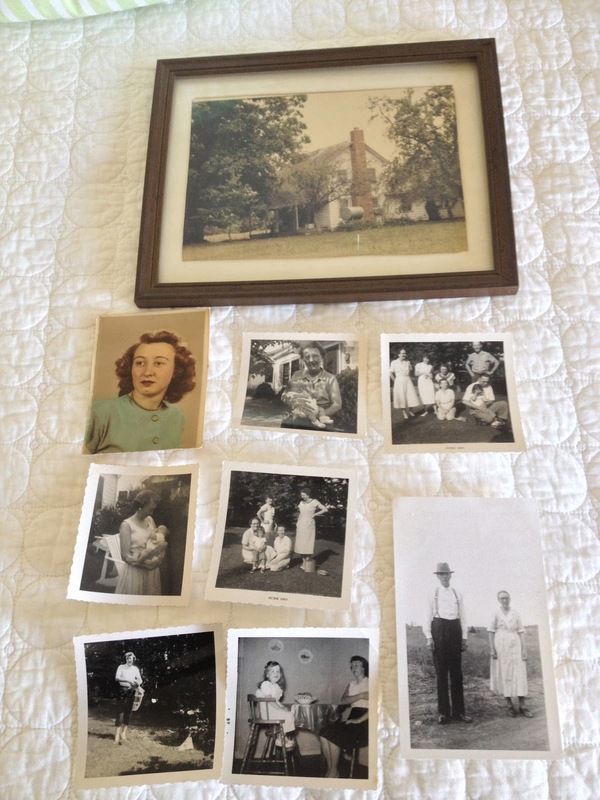 After we announced her name, my Mom and Grandmother dug up some old family photographs of all the Hatley family members back 3-4 generations. I would like to put these photos in frames and display them on shelves above the bed and/or rocker. Thanks for taking a peak into our lives here in Florida. Hatley-Grace is 4 weeks old today, and will be a month on Friday. The time is flying by! I love the 4th of July. I actually love all things summer, laying in the sun, watermelon, fireflies, berry picking, long days...which naturally includes the 4th! This year, with Hatley-Grace being only 3 weeks old, our celebration looked a little different. Marty had the day off, so we spent most of the day together at home which was so relaxing. That afternoon we went to a friends house for a cookout with some adults, interns and students. HG did a great job being passed around and loved on. The loud party noises didn't bother her one bit. 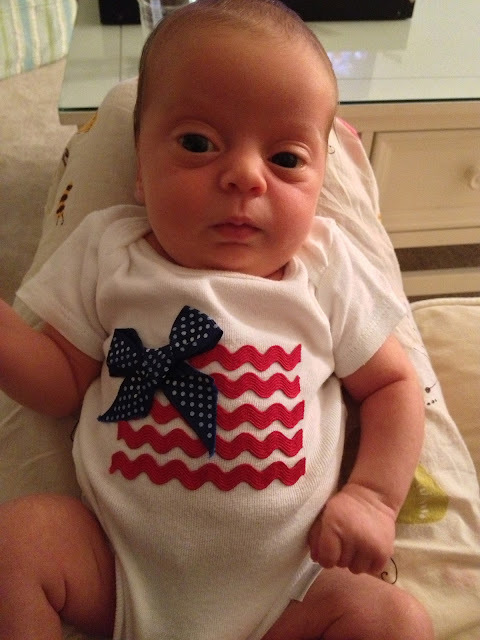 Even before Hatley-Grace was a thought, I had a Baby board on Pinterest with this flag shirt tutorial pinned. I am picky about baby clothes, I don't like clothing with words or silly pictures or cartoon characters. When I saw this idea on Pinterest, I knew it would be perfect for Memorial day, the 4th and Labor day, and it was just so darn cute. The tutorial is from The Good Life blog. This took me about 10 min. 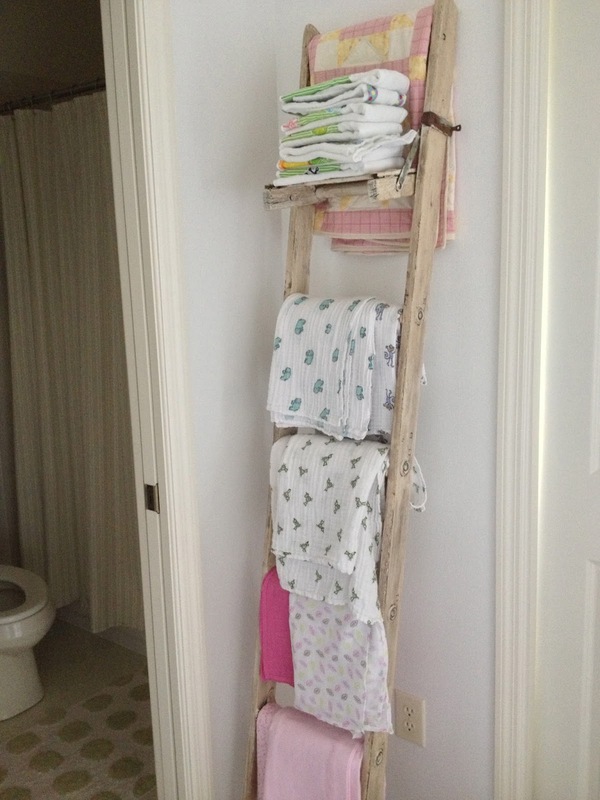 max and cost at the most $5... fast and cheap, my kind of DIY project. To see the full tutorial click here. All the supplies you need: Scissors, heat and bond tape, ribbon, onesie or shirt, iron. Cut, tie a bow, iron on. That easy!